Aside from illegal threats or obscenity, pols have no legal right to exclude viewpoints, civil-rights group warns. Francisco Kjolseth | Tribune file photo Rep. Mia Love has blocked two identified constituents from her Facebook page (although she's unblocked one) in what the ACLU says is an unconstitutional violation of First Amendment rights. The civil-rights group has sent warning letters to all Utah members of Congress. 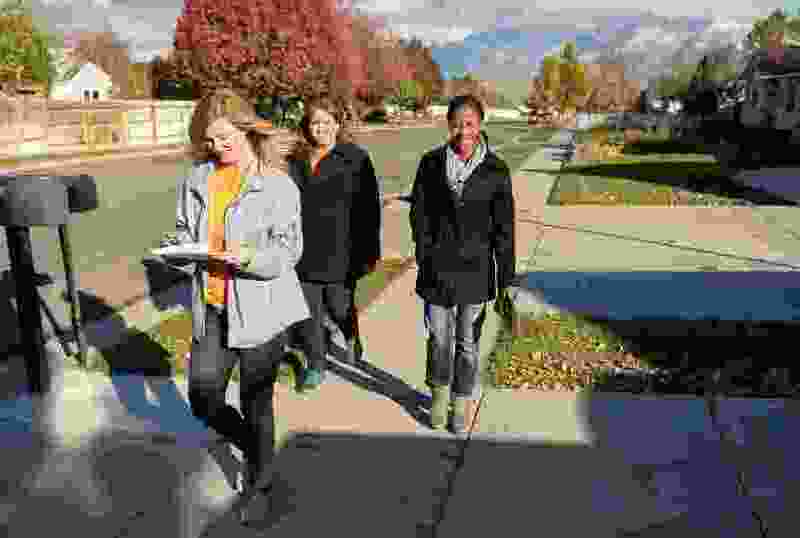 In this file photo, Love canvasses neighborhoods in Riverton before her 2014 election. Washington • The American Civil Liberties Union of Utah is warning Utah’s members of Congress against blocking social media users on their official accounts because courts have ruled that it violates free speech protections. In letters to Utah’s three House members and two senators, the ACLU of Utah says that blocking social media users would violate the First Amendment and could bring possible court action unless the user engages in threats or other legally restricted language. In a letter to Rep. Mia Love, the group notes two Utahns who had been critical of her — but did not threaten or use obscenity — were blocked on social media by the congresswoman’s office. Love’s official Facebook pages banned Kathleen Ayala, who had been critical of the congresswoman. “While her comments were often scathing and sarcastic, none of them could be reasonably called threatening or obscene,” the letter to Love says. Similarly, Love’s office blocked Tom Taylor, a Democrat who plans to run against Love, even though he never made any personal attacks or threats, the ACLU of Utah says. Taylor was later unblocked. “Blocking is extremely rare and if it happens it would be a result of a glaring violation of these guidelines,” Piatt said. 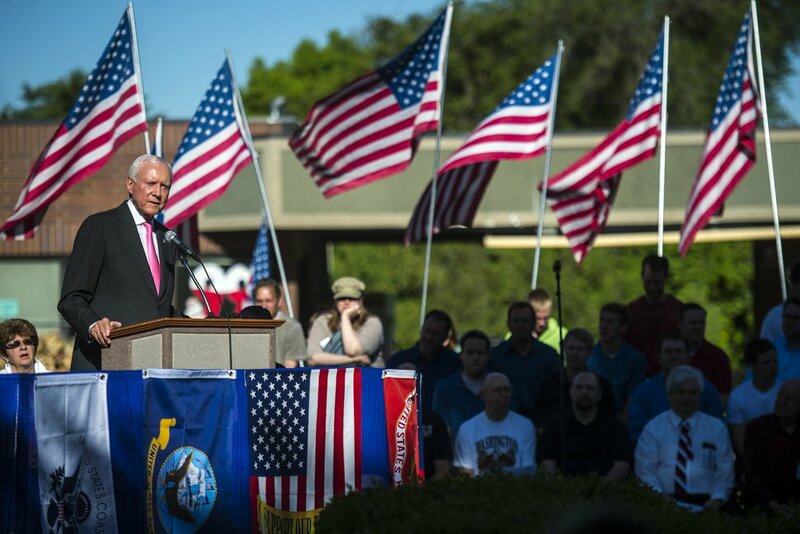 Chris Detrick | Tribune file photo Utah Sen. Orrin Hatch speaks during a Memorial Day celebration at Hogan Park in Woods Cross on Monday May 26, 2014. Sen. Orrin Hatch’s office says it also has rules on its Facebook page “to prevent it from being used to traffic in palpably offensive content or demonstrably false information,” according to Hatch spokesman Matt Whitlock. The ACLU has sued the governors of Maine and Maryland for blocking users on Facebook and sent letters to other politicians warning them against stifling free speech.